• Rates are in Mexican pesos, subject to 16% VAT and 3% Lodging. • They include lodging, buffet breakfast at the chef's choice, wireless internet and free parking.  • Cost per additional person from 12 years and up per room per night $ 400 pesos plus 16% VAT and 3% Lodging. The house has a schedule of customer and guest service from 7:00 a.m. to 11:00 p.m.
• Check in 15:00 hrs. - 23:00 hrs. / Check out: 12:00 hrs. • In the event that your ticket is different from the aforementioned, we would appreciate it if you could contact the hotel in advance to arrange your ticket. • Departures after 12:00 hours without prior notice will cause an extra charge corresponding to a full rent. • If you require it, you can request a late departure in advance and it will be confirmed according to availability and with a charge corresponding to the season you reserve and the departure time that you request. • The credit card with which you reserve will be only to guarantee the reservation, you can make the payment at the time of your arrival with cash or credit card. • In case of cancellations 3 days before arrival or no-show, we will charge to credit card in guarantee one night's lodging with taxes included as a penalty. • For reservations with non-refundable offers, 100% of the accommodation will be charged at the time of booking on the website. This will not have any refund. • In case of guaranteeing your reservation with pay pal, the hotel will charge you 1 night of accommodation at the time of booking. * By booking through our website you accept all the aforementioned terms and conditions. The hotel requires a security deposit or credit card at the time of your arrival to cover any extra during your stay. This guarantee is necessary in order to check in into your room. For security of our guests, the property has security cameras at different points inside and outside the property constantly monitored, at night the main door is closed, each guest can have access to the facilities with access key that is will provide to be able to enter and leave the house. All guests have emergency numbers at their disposal 24 hours a day. Accepted methods of payment: Visa, Mastercard, American Express, Cash, Bank Deposits.